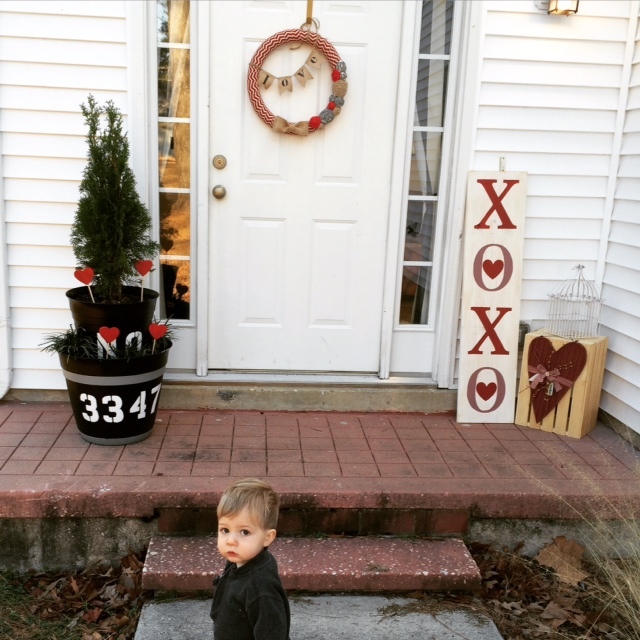 Valentine’s Day stoop with my sweet little frog photo-bombing! Like my GIANT “XOXO” sign? You can find the tutorial on how to make your own for $9 here! 2″ wide ribbon of your choice – I went with a red and beige chevron which I found at Hobby Lobby. This wreath required about 2 1/4 spools of ribbon but it may be more or less depending on the ribbon you choose. Step 1: Begin by wrapping your ribbon around your Styrofoam wreath, securing with little lines of hot glue along the way. Step 2: Once your wreath is covered cut small pennants using your wired burlap ribbon. NOTE: you can also use regular burlap if you have that on hand, I have just found that the wired burlap holds up better to the elements for me as I do not have a storm door. Next, using your small stencils and acrylic paint, paint each letter of L-O-V-E individually onto each of your pieces and allow to dry. Step 3: In the mean time, create your fabric flowers, for a detailed tutorial on these adorable flowers check out this post. Once you have the amount of flowers that you desire use hot glue to secure them to the bottom right quadrant of your wreath (or wherever you’d like, this is just how I placed them). NOTE: If you do not have the time or will to create your own flowers you can buy ready made fabric flowers from your local craft store but PLEASE try making them yourself, I promise it is super easy! Step 4: Since your pennants should be dry by now, use hot glue to attach them carefully to your piece of twine then securing your mini pennant banner to the upper left area of your wreath by wrapping the ends of the twine around the body of the wreath then securing it with a tiny dot of hot glue on the back (or just knotting it in back). THAT’S IT! 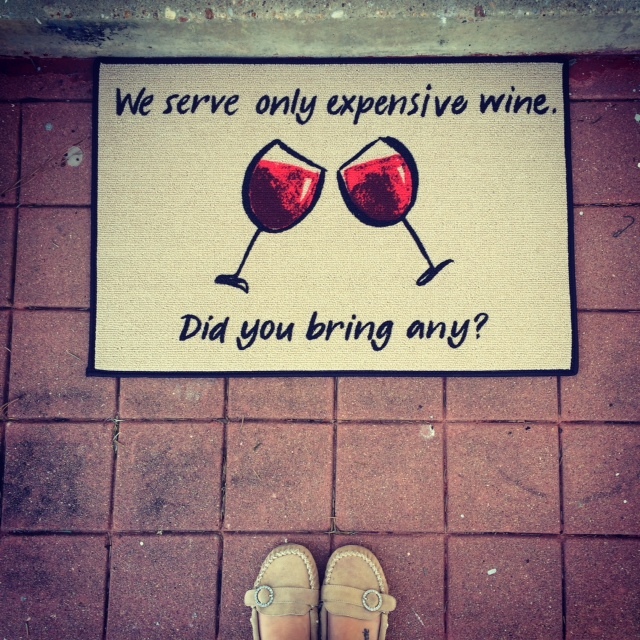 There are so many ways to customize this by changing up the colors or saying. I look forward to coming back to this wreath for future holidays and simply changing up the theme! The past two nights have been all about wreaths! One of which was my “September” wreath which I decided to make football themed to both support our favorite team and because I felt weird putting out a fall themed wreath when it’s still too hot to go outside most days, lol. The other was a faux succulent wreath I made for our dear Aunt Maryann who patiently waited for it while my scatter-brained self took forever to get around to making it (and even longer to send it out, shame on me!) but I finally got them both done – yay! 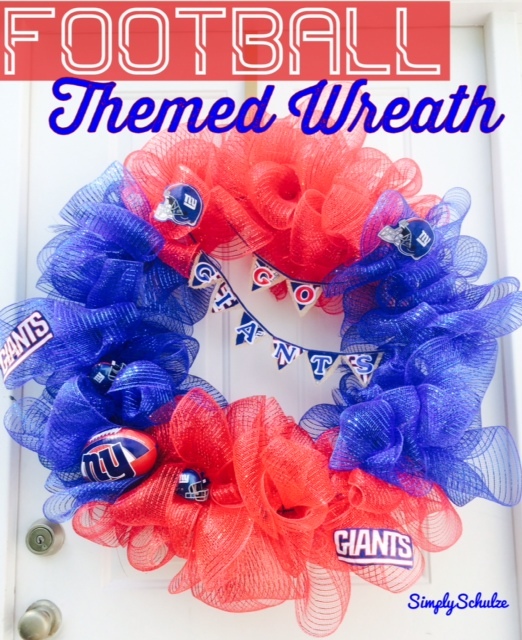 In this post I will be sharing my September football wreath which happened to be my first attempt at a mesh wreath. 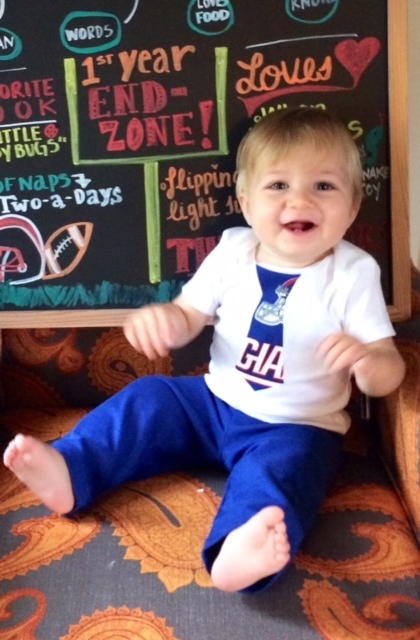 While we have been transplanted to the south we’re still NY fans to boot so since we don’t have cable at casa de Schulze (we pinch our pennies, remember? lol) this wreath will be our method of team support for the season. Aside from the fact that this wreath turned out HUGE (which I decided was fitting because “Giants” lol) I was very happy with the results and even happier with how easy it was to create! My only gripe with this wreath is that mesh is more expensive in comparison to burlap, however, I do like that mesh gives you the option for super bright fun colors which are great for holidays like Halloween and Christmas which is what will keep me coming back to this method. If you’re yet to jump on the deco mesh bandwagon give this method a shot, it’s just as easy as creating a burlap wreath and super fun! 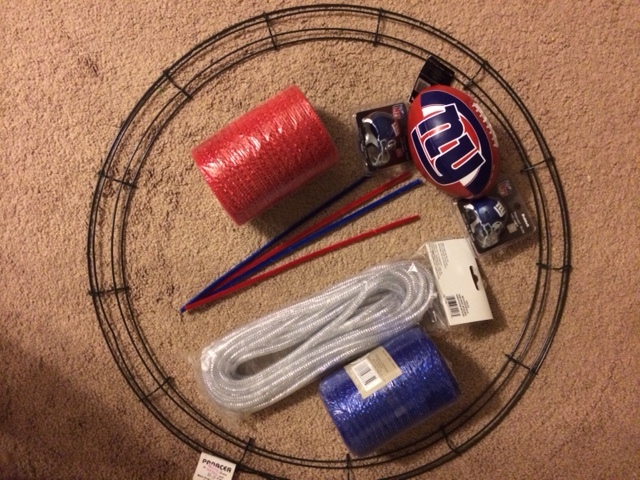 Wire Wreath Frame – I used a 24″ frame because my craft store was out of 18″ frames but I would definitely suggest going with the 18″ or even a 12″ frame unless your door is exceptionally massive. 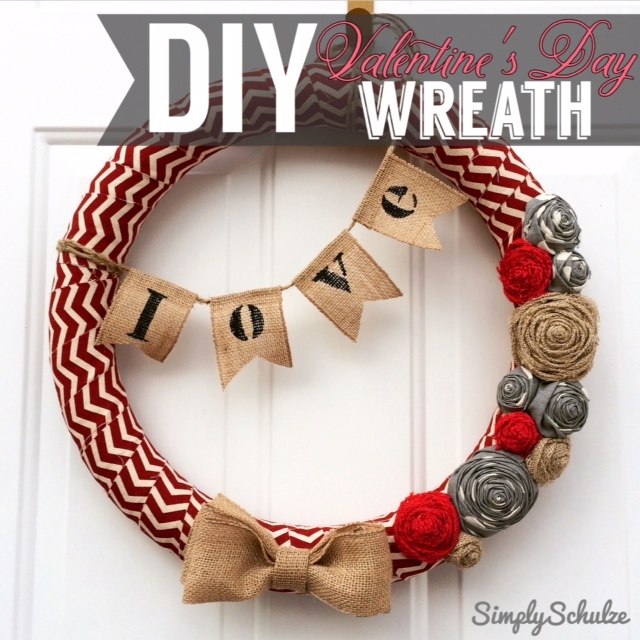 The mesh adds a LOT of volume to the wreath so a small frame goes a long way! 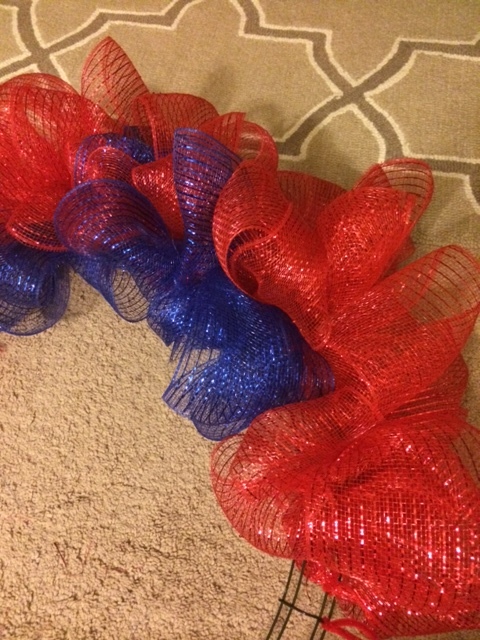 Blue and Red 5″ X 45′ Rolls of Wired Deco Mesh – I used two of each, but if you were to use a smaller wreath frame you would definitely only need one of each. 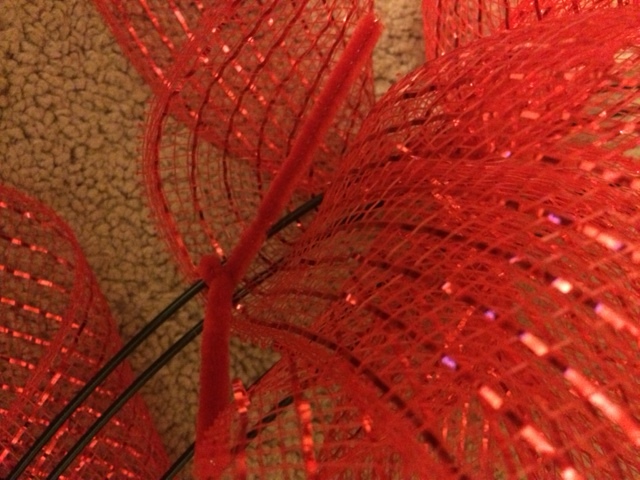 Step 1: I began by cutting the pipe cleaners into thirds to shorten them, then twisting the shorter pieces around the wreath frame wherever I was planning to bunch up the mesh. 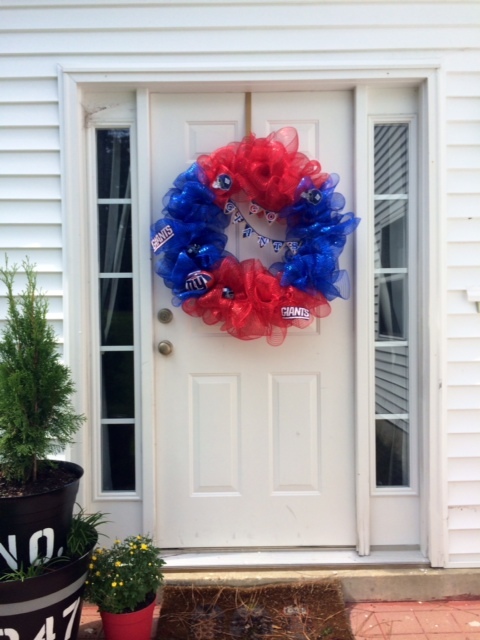 Then I used basically the same method I used to create my 4th of July Burlap Wreath, by weaving the mesh in and out of the wire frame (in an over-under-over-under manner) using the pipe cleaners to secure the mesh to keep it “poufed” up. NOTE: Another method would be to use a styrofoam wreath frame (as I did to create my Chevron Wreath) and create loops out of the mesh by stapling them directly to the styrofoam frame to achieve the same look. Step 2: After I had finished creating the mesh portion of the wreath I attached my embellishments. I cut a small hole in the back of the mini football and threaded a pipe cleaner through the whole and attached it to the wire frame. I did the same with the mini footballs which already had holes in the sides that were perfect for threading the pipe cleaners through. Step 3: I then moved on to my mini “Go Giants” pennant banner which I created by cutting mini triangles out of my scrap burlap and then smaller triangles out of my scrap Giants fabric to fit atop the burlap triangles which I attached using hot glue. After I had created all of my little triangles I went ahead and attached my fabric letters which were actually stick-on but I used a bit of hot glue on the backs of the letters as well to ensure that they really stuck since my wreath was going to have to brave the elements. After adding the letters I created the pennant banners by gluing the triangles to my blue 1/4″ ribbon, one reading “go” and the other “giants”. I secured it to the wreath by tying each opposing end to the wire frame. Step 4: My final step was not planned but after finishing my wreath the episode of SVU I was watching still had a few minutes left (lol) so I took that time to play around with the idea of adding the Giants logo and helmet to the mesh. I cut the logos and helmets out of my fabric and used hot glue to secure the fabric to the top of the mesh and another piece of scrap fabric to hold it in place on back (inside of the mesh) since the hot glue would not fully secure the logo/helmet to the mesh without a backing. TA-DA that was it! Now that I’ve attempted this method I will most likely be making another deco mesh wreath for my Halloween/October wreath (except I will use the appropriate wreath frame this time, haha). NOTE: If “blue” velvet cake mix is not available you can always purchase white cake mix and add blue food coloring or use red velvet and substitute blueberries for the strawberries to keep with the “red, white and blue” color scheme. 2 Boxes Vanilla Instant Pudding (I used the “cook and serve” kind, but whatever works for you is fine) – don’t forget to pick up whole milk to prepare! Step 1: Begin by preparing cake mix and pudding according to package directions. Step 2: While cake is baking and pudding is chilling, slice your strawberries. I cut off the stems then halved, quartered and then thinly sliced the berries, however you want to cut them up is fine! Once your berries are all sliced, place in a bowl along with 2 Tbsp. 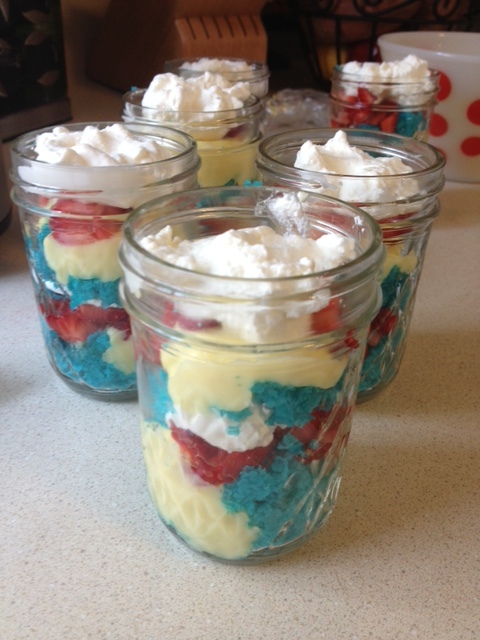 of sugar and mix then allow to chill in fridge until you are ready to assemble the trifles. Step 3: While cake is cooling and pudding is chilling in fridge, begin preparing your whipped cream by combining the 2 Tbsp. sugar and cold whipping cream and whisking with an electric mixer or by hand until stiff peaks form. 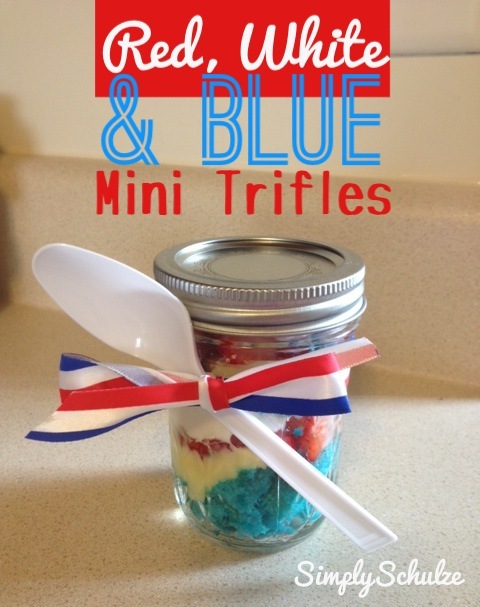 Place in the fridge until you are ready to assemble trifles. If you are going the whipped topping route just hang tight! Step 3: Once you are ready to assemble your trifles, start by cutting the cake into small cubes (although it will probably just end up crumbling when you handle it, which is fine). Place about 2 Tbsp. 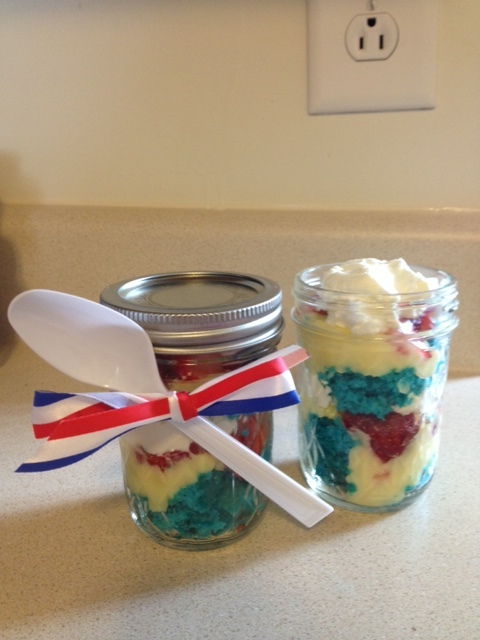 of cake in the bottom of each jar, then top with about 1 Tbsp. of pudding followed by 2 Tbsp. of strawberries and a heaping Tbsp. of whipped cream. Repeat in this fashion for a second layer, ending with whipped cream. 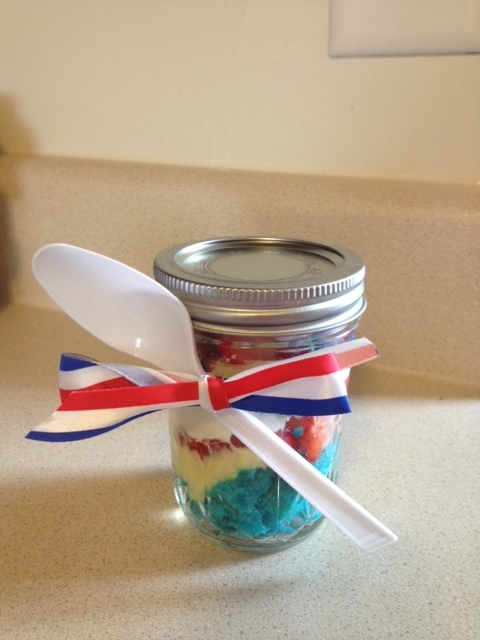 Step 4 (optional): If you are not serving your little masterpieces right away, place the lid on the jar and use a ribbon to tie a plastic spoon to the jar (this is just a fun little “to-go” touch for your guests), then chill until ready to serve! *While these are still good the following day, I don’t suggest making them too far in advance as the whipped cream tends to “deflate”.